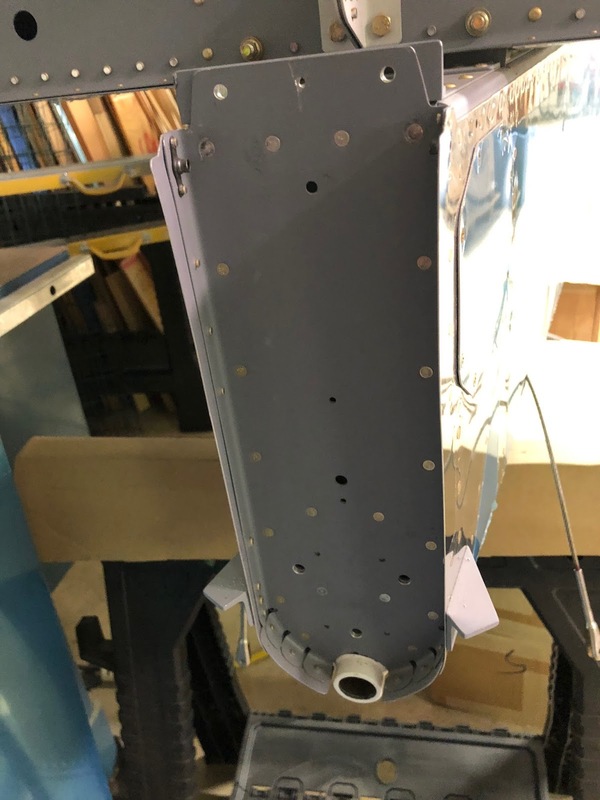 There are 2 nut plates at the back of the fuselage that interfere with the vertical stab spar. The manual specified that they be installed before chapter 11, but I decided to remove them for the following steps. I'll have to check with Van's to see what to do about the interference problem. 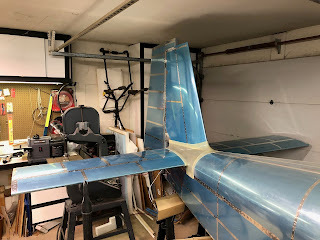 I drilled holes and installed the horizontal stabilizer and the v-stab forward mounting plate. 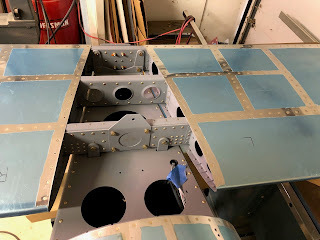 Next step was to install the rod end bearings for the rudder hinges. 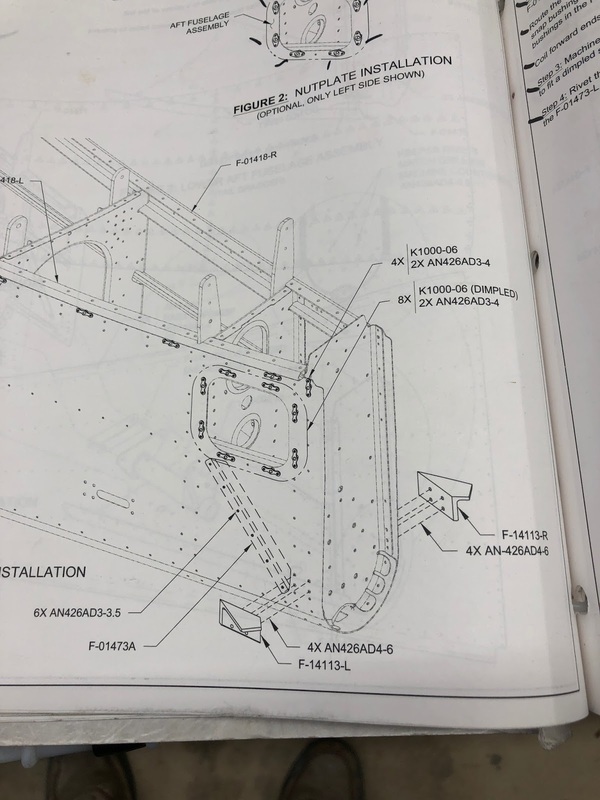 The drawing in the manual shows dimensions for how to set each of the 3 rod ends, but the dimensions are specified to the middle of the hole in the rod end. 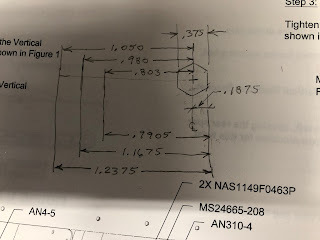 How do you accurately measure to the air in the middle of the rod end? 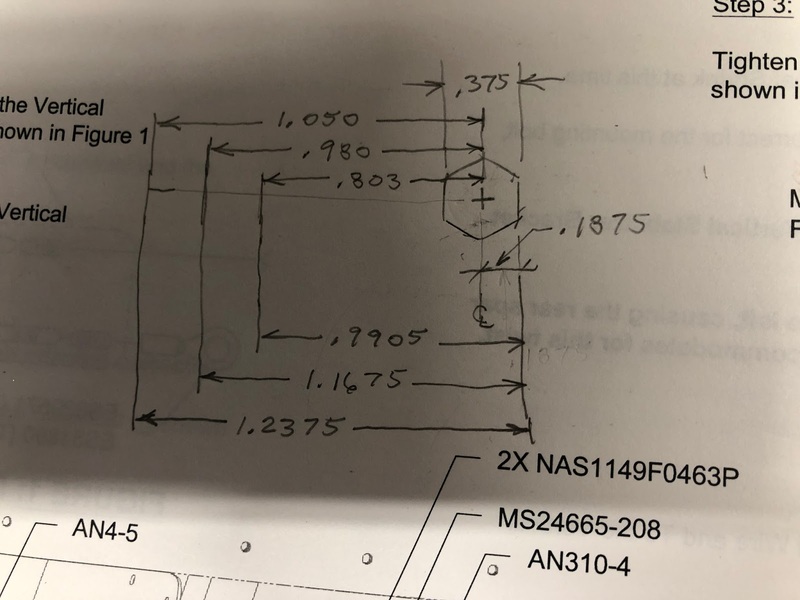 I decided to compute and measure the distance to the flat on the head of a bolt inserted in the rod end. 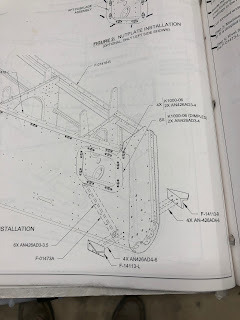 This worked, but it too is problematic in that you have to get the bolt parallel to the edge of the rudder and also rotate the bolt head to so the flat is parallel to the back surface. I set the rod ends to the specified distances and hung the assembly on the tail. 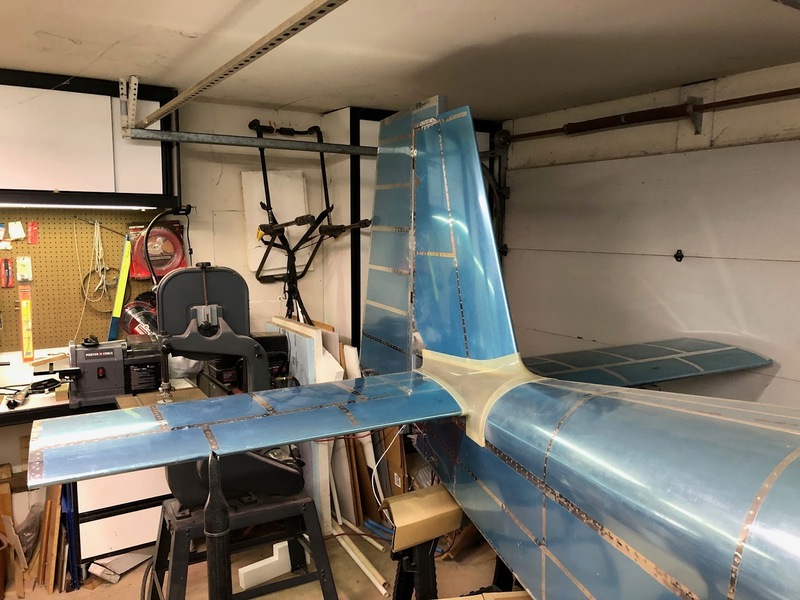 Beginning to look like an airplane instead of a canoe!! !